IT?S TIME FOR A CHANGE! Research shows that approximately 28% of the $2 trillion dollars spent in the U.S. Healthcare system was spent on claims administration while 10% of all claims were fraudulent! QuickPayNet uses technology to leap over these colossal problems! REGISTER NOW! Take advantage of all that QPN offers your practice! 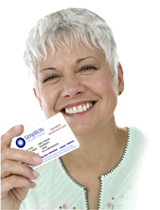 After you register once with Simplicity/QPN, you can securely and simply file a claim on-line in less than 45 seconds. You can even upload attachments of reports to specific bills! SHP MEMBERS, YOUR BEST PAYING CUSTOMERS! There?s even better news! SHP Members have an overdraft line-of-credit with their HSA?s. When you ring up a bill and accept QPN?s repricing, Badda Bing, you get a direct deposit to your bank account in 72 hours! It?s that SIMPLE! When you see a patient with a Simplicity Health Plans Membership, enter your bill on this site with their policy information, accept the repricing, and the rest is automatic! All the paperwork is eliminated. You can view and print your EOB on-line, view your claims history, and all communication between parties is paperless. QPN IS NOT TOO GOOD TO BE TRUE! The software system has already processed hundreds of millions of claims on-line in the Workman?s Compensation Industry. It?s just time someone took the fat out of claims administration for Providers! SHP & QPN does that! Welcome aboard!